Blake Oliveira came to The Citadel for two main reasons — to play football and to study sports management. Then, the honors student from Maryville, Tenn., decided he wanted to study intelligence gathering and work for the FBI. During a visit home during a break, a friend and football player at another school talked to Oliveira about nursing. Fortunately for Oliveira, The Citadel’s Swain Department of Nursing had launched in the fall of 2017, enabling Oliveira and fellow cadets to study nursing at the military school. 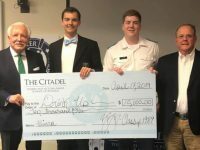 The Citadel’s first nursing class graduates in May, with 20 evening undergraduates. 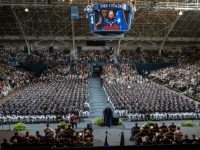 There are currently 34 undergrad nursing students in The Citadel’s evening program, and another 13 members of the Corps of Cadets have declared nursing as their major. 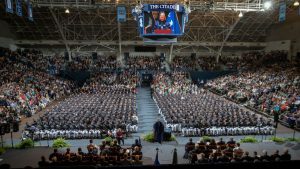 From this year’s crop of freshman cadets, 24 are attempting admission to the program, which will be determined by their academic performance this year. The nursing program is in the process of being accredited, and final approval is expected in May. 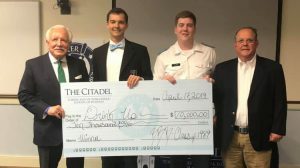 The numbers so far are modest but could grow quickly as The Citadel takes aim at a looming nursing shortage. A recent report predicted that South Carolina could have the fourth-worst nursing shortage in the country by 2030. The National Center for Health Workforce Analysis estimates South Carolina will need about 10,000 additional nurses over the next 12 years. 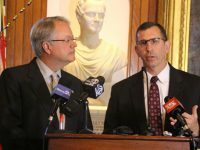 And it predicts the state will have 6,400 too few registered nurses by 2028. 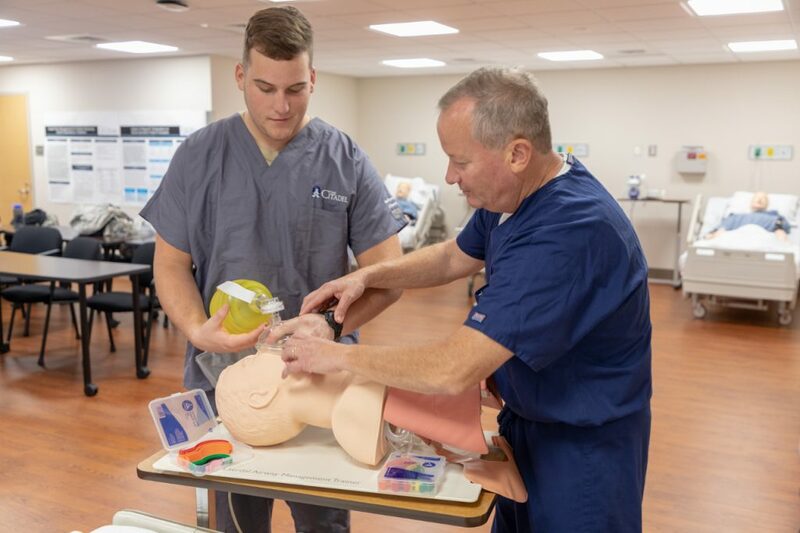 The Citadel offers the only evening program for nursing in the area, and it offers every nursing course every semester. Students in the evening program do not have to be members of the Corps of Cadets. 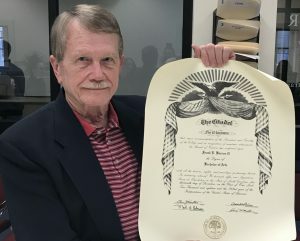 Other Charleston area schools also offer a variety of nursing degrees, including the Medical University of South Carolina and Trident Technical College. For Oliveira, one of the attractions of nursing is the promise of quickly finding a job after graduation, plus the chance to specialize as his career progresses. Oliveira’s ultimate goal is to become a nurse anesthetist. The next deadline for admission into the evening undergraduate studies program is March 1. Applications are being accepted now. That group begins class in mid-May.